What's up ninjas? 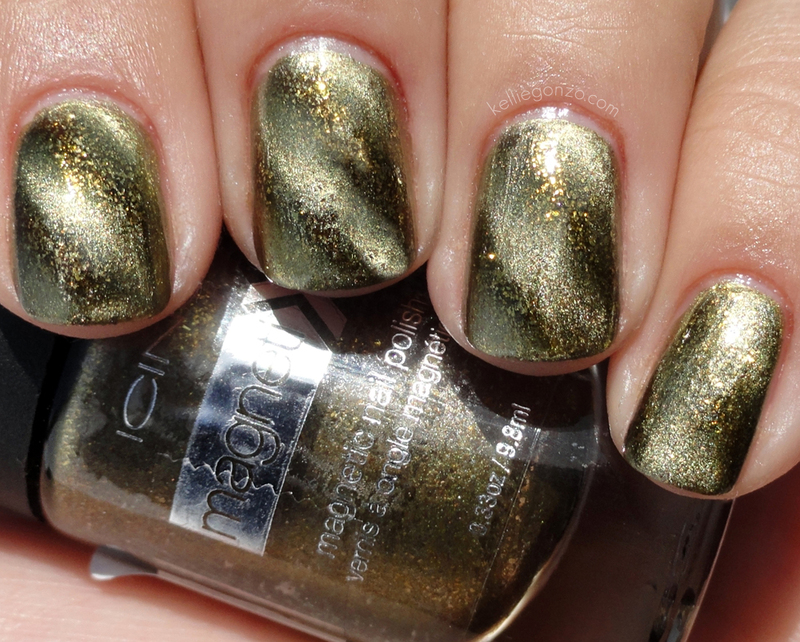 Today I would like to show you my newest favorite magnetic polish. It's from Icing and it doesn't really have a name I don't think, but the color is fabulous! It's mossy metallic goldish green with glittahhh. In case you don't know, magnetic polishes are a newfangled special effects type of nail polish that has metallic particles in it, so when a magnet is held over the nail the iron powder pulls forward toward the surface forming a pattern. 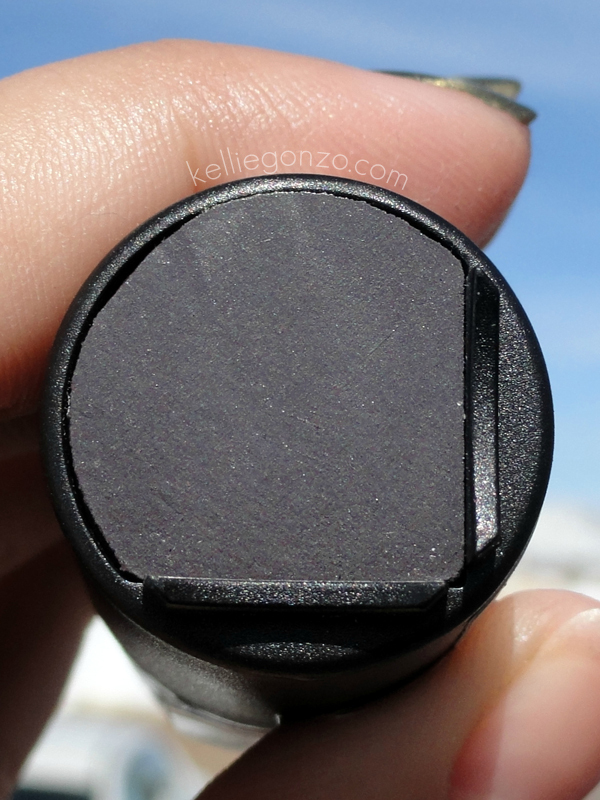 Most of the polishes have the special magnet with the design hidden inside on the cap, with a little lip to rest your finger on so your nail gets super close but doesn't touch the magnet itself. See the little edges? Very convenient. This cap has a diagonal line design, but there are others like a star design and chevrons, etc. This is two coats of polish, on the second coats I applied the magnet right away after I polished each nail. The magnet on this was super strong, I could actually see the particles forming the design as it happened! I've used way worse magnets and it can be frustrating to work with them. I love the gittahhh :D You can buy these Magnetix polishes from Icing stores (in most shopping malls) for $9, and they always have a "Buy One, Get One 50% Off" sale on cosmetics.